A different kind of Easter How will Pope Francis go about it? To start, by loving his enemies. It seems certain that Cardinal Tarcisio Bertone will remain Secretary of State until April 27. That is the day when new papal nuncio Ettore Balestrero – previously Undersecretary for Relations with States, heading to the important nunciature of Colombia– will be ordained bishops. In the past, the Pope himself would conduct these ordinations in Saint Peter’s Basilica. But Pope Francis –who does not want to take center stage– decided that new nuncios will always be ordained bishop by the Secretary of State, while the ordination of secretaries of congregations will be conducted by the prefects of their congregations. So, barring any surprises, Bertone will perform the bishops’ ordination in Saint Peter’s on April 27, and this means that he will remain at his post until that day. In fact, it is rumored that Bertone will keep his post until September. This will not stop speculation on who the next Secretary of State may be. The speculation is also fed by the schedule of the meetings Pope Francis have had until now. The Pope has received almost all of the members of the Curia’s old establishment: Piero Marini, John Paul II’s master of ceremonies who under Benedict XVI turned down running a diocese and remained in Rome as president of Eucharistic Congresses; James Michael Harvey, who hired the unfaithful butler Paolo Gabriele and has been promoted cardinal and Archpriest of Saint Paul Outside the Walls Basilica, away from the papal apartment; Fernando Filoni, who – to sidestep his uneasy relations with his direct boss, cardinal Bertone– has been promoted Prefect of the Congregation for the Evangelization of People; and Leonardo Sandri, Prefect of the Congregation for the Eastern Churches and longa manus of cardinal Angelo Sodano –the latter one of the most prominent representatives of that old circle of diplomats never at ease with Benedict’s rule. Are these meetings to thank and politely dismiss the old establishment, or are they a signal that nothing will change, in the Curia? In the meantime, ambitions to become Secretary of State are played off against the future of the so called “Vatican bank,” the IOR (Istituto per le Opere di Religione). Wals told Allen that Bergoglio swiftly took personal responsibility for the financial mess of his diocese of Buenos Aires. The key move, according to Wals, was that Bergoglio decided to sell off the archdiocese’s bank shares and to transfer its funds to international banks such as HSBC and UBS, «as an ordinary client» rather than a partial owner. That step – Wals suggested – not only imposed greater restraint on borrowing and spending, but it also spared the church the potential embarrassment of being linked as an owner to banking scandals. In fact, that of the IOR is a different story. The IOR is a fund which profits are at the sovereign’s disposal. It is not a bank, and no-one can buy IOR shares. Rightly or wrongly, the IOR has been implicated in several scandals, but the path toward full financial transparency the Holy See began is intended to prevent future scandals. Certainly, outside of the Vatican, in the dioceses, there is a certain impatience about Rome and its centrality. Many cardinals see headlines about the IOR as a warning alert, and an obstacle to their evangelizing. 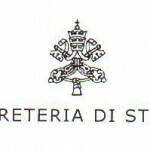 The cardinals were also worried about controversial stories about the IOR and Vatican finances in newspapers headlines. The populist use of the IOR issue has come up in the competition to lead the Secretariat of State. Claudio Mario Celli, President of the Pontifical Council for Social Communications and someone with strong diplomatic credentials, entered that arena when he told The Times that Pope Francis would consider appeals made by two cardinals during the pre-conclave meetings (cardinals Braz de Aviz e Onayiekan) to abolish the Institute for Religious Works, the so-called “Vatican bank”. Celli’s move – made to advance his odds of becoming Secretary of State– grabbed headlines. But it also served to cast a shadow over the odds of another strong contender for Secretary of State, Cardinal Giuseppe Bertello, former Permanent Observer to the United Nations in Geneva and Apostolic Nuncio in Italy, now President of the Vatican City State administration. 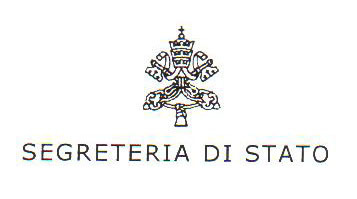 Bertello, as president of the Vatican City State administration, backed the Secretariat of State efforts to have a new anti-money laundering law, one coherent with the mission of the Church. In this context, the new IOR president, Ernst von Freyberg, has assumed his post in the midst of a subtle media campaign aimed at abolishing the IOR or, at least, diminishing its range of action. To understand this debate, it is important to understand the purpose of the IOR. That of the IOR’s “transparency” was one of the last battles of the old establishment during Benedict XVI’s Pontificate. In 2009, Vatican City State signed a Monetary Agreement with the European Union, according to which the Vatican pledged to comply with international anti-money laundering standards. To this end, a new law was adopted on December 30, 2010 – and came into force in March 2011. The law also established the Financial Intelligence Authority. In 2011, the Holy See agreed to submit to a mutual evaluation on his standards by MONEYVAL, a body of the Council of Europe. During their first site visit on November 2011, MONEYVAL evaluators concluded that the law had some weaknesses. The law has since been substantially re-written and amended, in order to fulfill international standards. As stressed by the MONEYVAL Report, the «original AML/CFT Law was rapidly revised after the first MONEYVAL visit, largely to take into account the evaluators emerging findings. […] The revised AML/CFT Law introduced a significant number of necessary and welcome changes» (Executive Summary, 11). The same report emphasized that «further important issues still need addressing in order to demonstrate that a fully effective regime has been instituted in practice» (Executive Summary 10), but it gave high marks to other IOR arrangements: the IOR security standards surpass those required by Vatican law (Executive Summary, 39); and the Vatican legislation on secrecy was considered overall compliant with international standards (paragraph 50). The report also praised the high level of international cooperation the Vatican engages in. Unmistakably, the report dismissed a vision of the IOR as a place of opacity and illicit dealings, and of an uncooperative Vatican closed to scrutiny and full of financial mysteries. In the public debate, two polarized positions have emerged. One is to consider having a financial system a goal that should be pursuit. The other one is to view the managing of financial arrangements as something that the Holy See should not be involved with. Pressures «to abolish» the Institute seem to be part (or the effect) of the «new media-narrative» relating the Church: «The election of Pope Francis changed (the tone and substance of) newspapers headlines regarding the Church», said Lorenzo Baldisseri, secretary of the conclave, in an interview to the Catholic News Agency published on March 25. However, that kind of pressure fails to realize that the Holy is not a financial hub, but it is an international legal entity with financial sovereignty, that is, the capacity to carry out its institutional works of religion and charity without interference from foreign financial institutions. This is why the Holy See and Vatican City have pledged to comply with international anti-money laundering standards.